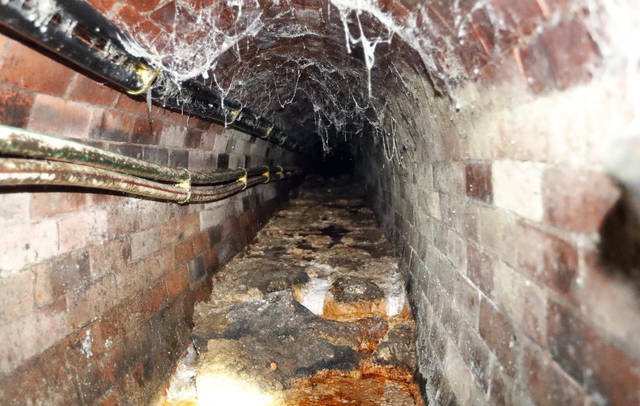 LONDON (AP) — Part of a monster fatberg that clogged one of London’s sewers is destined for fame in a museum. The Museum of London says it will put the only remaining chunk of the 130-metric-ton (143-U.S.-ton) mass of oil, fat, diapers and baby wipes on display early next year. Workers for utility company Thames Water spent weeks this year dislodging the smelly 250-meter-long (820-foot-long) blob by breaking it up with high-powered hoses. The museum’s shoebox-sized chunk is all that remains. The rest has been converted to biofuel. It has been air-dried to reduce the smell and will be displayed in a sealed unit.